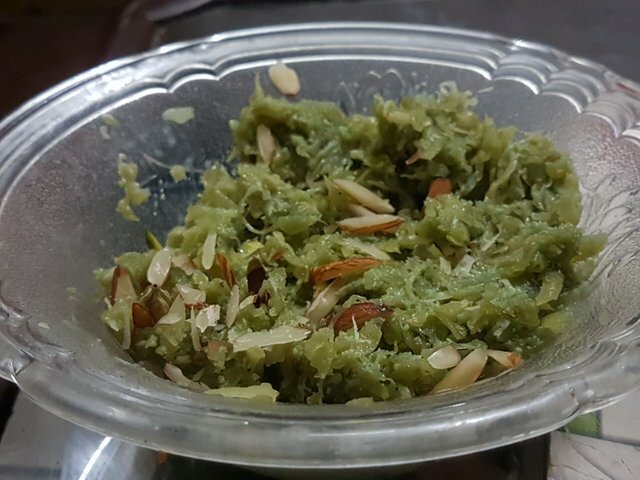 Food Photography: Kaddu Ka Halwa (Pumpkin Halwa) RecipesteemCreated with Sketch. 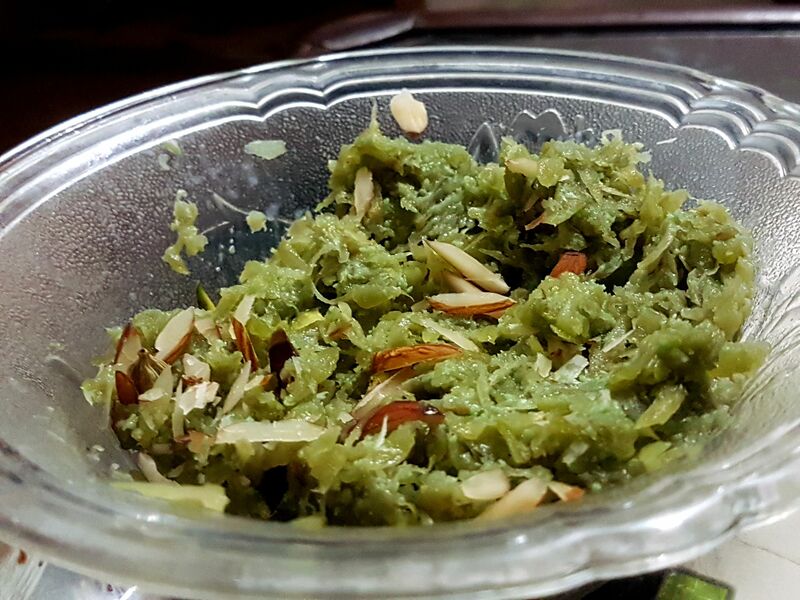 My MOM cook this delicious Pumpkin Halwa, here i am going to share some snaps and whole recipe of this delicious dish because Pumpkin halwa is not only tasty but nutritious as well. Kaddu ka halwa tastes much more delicious than any other savoury dish prepared from pumpkin. Pumpkin halwa is not only tasty but nutritious as well. Thinly slice the almonds and pistachios and stone grind the green cardamom seeds. Heat a pan and put the pumpkin to it along with milk. Stir gently and then cover to cook for 5 minutes. Stir again after 5 minutes and add sugar to the pumpkin. Cover again and cook for 2 more minutes. As the sugar dissolves, cook the pumpkin in open until the juice gets evaporated, stir after regular interval. Once the pumpkin becomes dry, pour 1 tbsp of ghee in the pan and roast the pumpkin for 2 minutes. Then add the mawa to the halwa and roast for 3 to 4 minutes by stirring constantly. Later, add almonds and raisins and mix properly. Turn off the flame and mix crushed green cardamom in the halwa. Transfer to a bowl, pumpkin halwa is ready. Garnish this lip-smacking and luscious pumpkin halwa with pistachios and serve. You can add cashews, chironji, walnuts or any other dry fruits according to choice or availability. 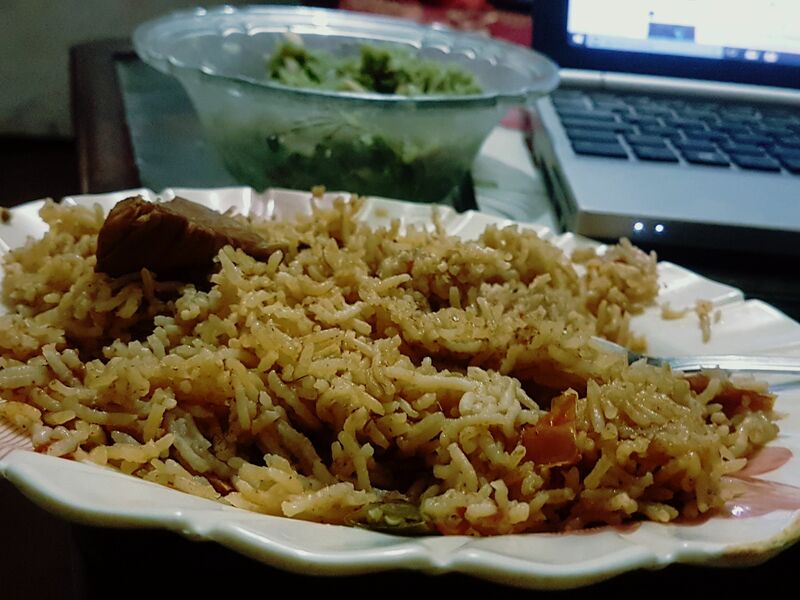 You can also substitute mawa with milk powder.